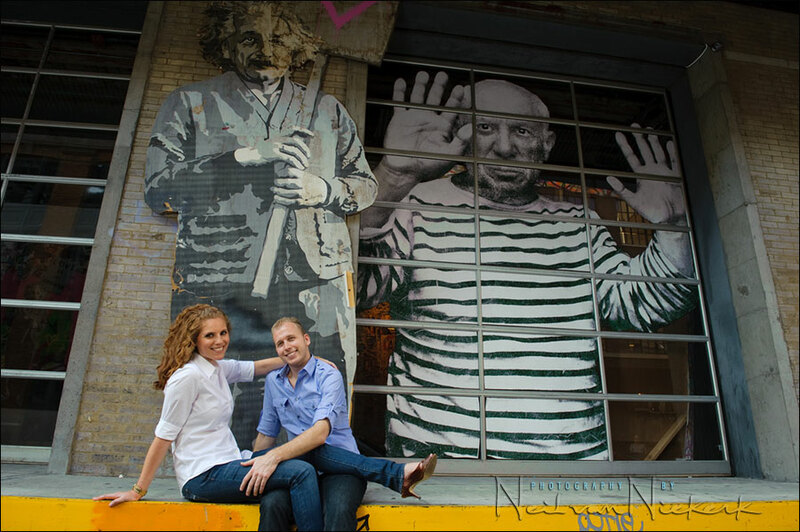 The engagement photo sessions is really a low-stress fun thing to do as a couple. If you’re a little shy in front of the camera, it gets you a little more used to being photographed, which is a big help on the wedding day. 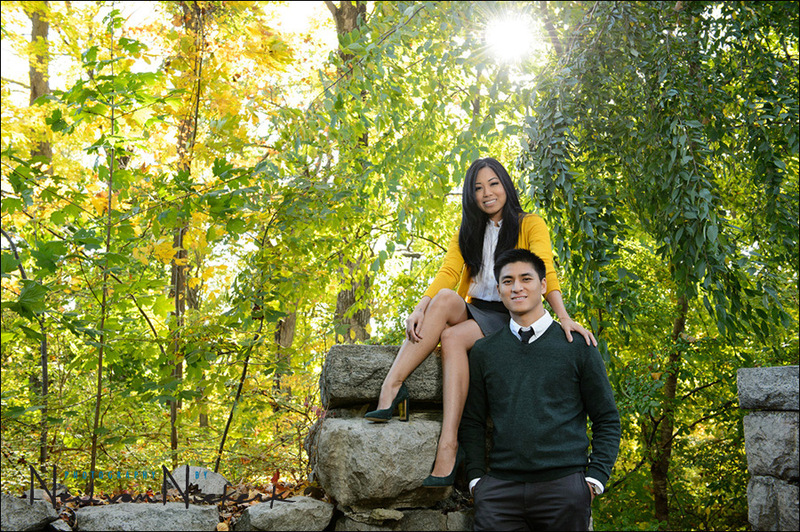 Eve though this photo session is meant to be just fun and no stress, there are a few things we can do to make the engagement photo session even more successful. Regarding clothing – anything that you feel comfortable in, and would be described perhaps as ‘smart casual’. Colors should be complimentary and not too bold. For example, bright red or neon colors are not a good idea. Check patterns also usually don’t work well. I would also suggest that guys don’t wear shorts & sandals, but something more ‘dressy’ than just that. Other than that, no real guidelines. It is whatever you feel you want to wear to represent you in photos. Also, if possible, don’t come too laden with bags. This is especially important in the city or an urban area. Since the photo session works better if it is more spontaneous, it helps if we don’t have to set bags down and pick them up again. But rather, that we can keep taking photos while moving or walking. If you wear high-heeled shoes, bring flats along as well to walk in, since we might be roaming around a bit during the photo session. I can easily keep the heels or flats in my shoulder bag, as needed. If we do the photo session in a park then flats or shoes which are comfortable to walk in when on uneven surfaces, are a good idea. That’s it! 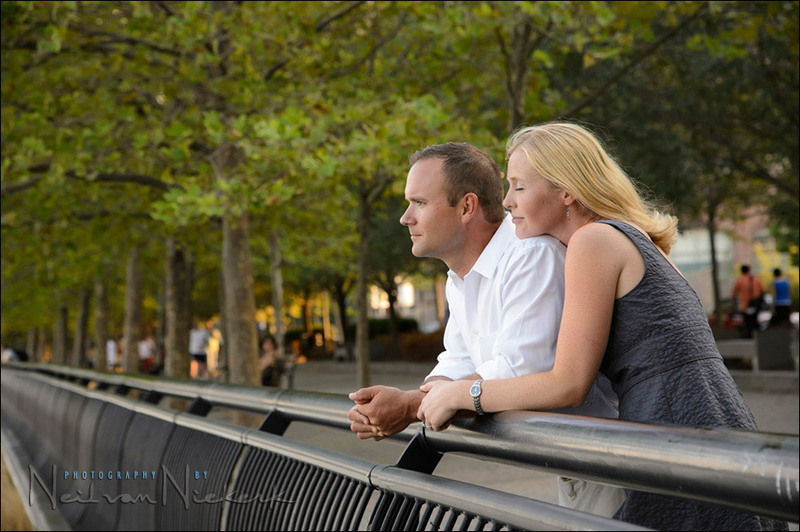 Let me know if you have any questions about your photo session.